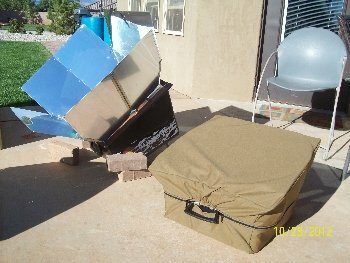 Have you ever wondered how best to protect your Solar Oven/cooker from the elements and from the damage that can occur with transport and storage of the same? Sometimes it's just not feasible to store your solar cooker in a protected environment if you lack room and space, or you tire of always hauling it from one spot to another in order to use it, and then have to restore it. 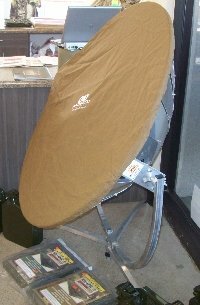 The All American Sun Oven (Previously called the Global Sun Oven) has been around for over thirty years and is the most commonly owned solar oven on the market. There are literally thousands upons thousands of Sun Oven owners that have a need and desire to protect their cherished investment. We also manufacture a cover for our Parabolic Cookers as well, with sizes fitting our five foot diameter Solar Burner and our three and a half foot diameter cookers (Sun Chef, Cookup200 and CKI Parabolics). One of the biggest concerns for most parabolic owners is how to protect the surface of the cooker when storing it as well as how to protect their surroundings from a "stray" off-focal point that could cook something they had not intended to cook. Our Solar Parabolic Cover is built with the same rugged material as the Sun Oven Cover, except that we use the 500 Denier Cordura. 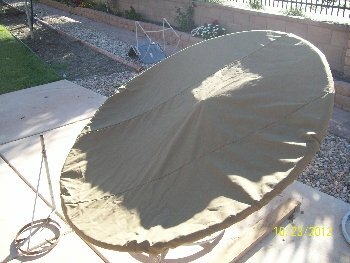 This solar cooker cover is also weather, UV and water resistant and will provide many years of protective cover. And, our parabolic cooker cover is designed for easy on-and-off use, with a durable and tight fitting elastic seam that can be pulled and stretched onto the parabolic dish with ease. 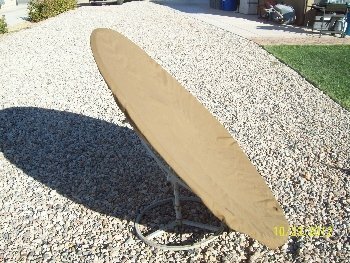 The cost for a Cantinawest Solar Cooker Cover is ony $49.99 for either class of cover, and this includes the shipping already in the price so you get a great product for a great price.